Arriving at the airport was one of the most nerve-racking experiences I have had in recent years. I may be in my early thirties, but when I was in high school, I was pretty confident adults didn’t feel these kinds of nerves? That goes away, right? Nope. The thought of chaperoning 23 high schoolers I didn’t know filled me with quite a bit of fear. Once at the airport I could tell I wasn’t alone in these feelings of concern, which in a lot of ways made me settle down a bit. I quickly began to realize this experience could truly be life-altering, and we were on nothing short of an adventure. Nevertheless, I was pretty socially awkward; the poor parents were probably a little concerned. Fear and anxiety really brings the best out in all of us, doesn’t it? LOL. 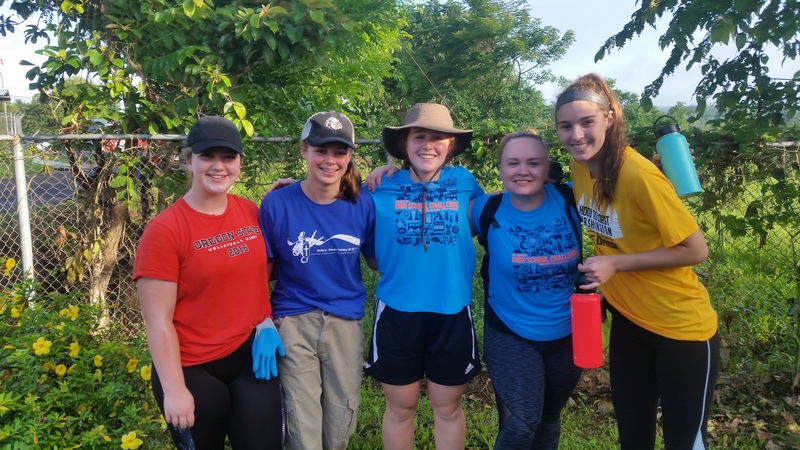 Well, we were off – with Rincon Hondo, Panama, the destination. 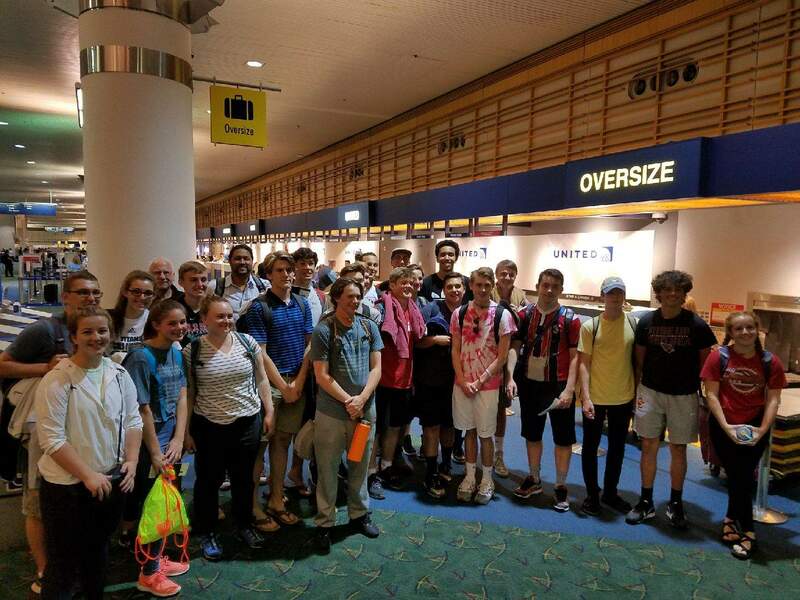 As a chaperone, my biggest fear was AIRPORT SECURITY. Honestly, I get anxious even when going through airport security alone. Having to remove all sorts of stuff from myself and my luggage… ugh. I am always in a bit of a hurry, so I naturally get stressed (patience – huge area for improvement). Airport security and flights were a success, and the layover in Houston began the true bonding between the group. It was really great watching it take place. A definite confirmation that this was going to be a really great trip. Then we landed in Panama. Customs and immigration – no problem. 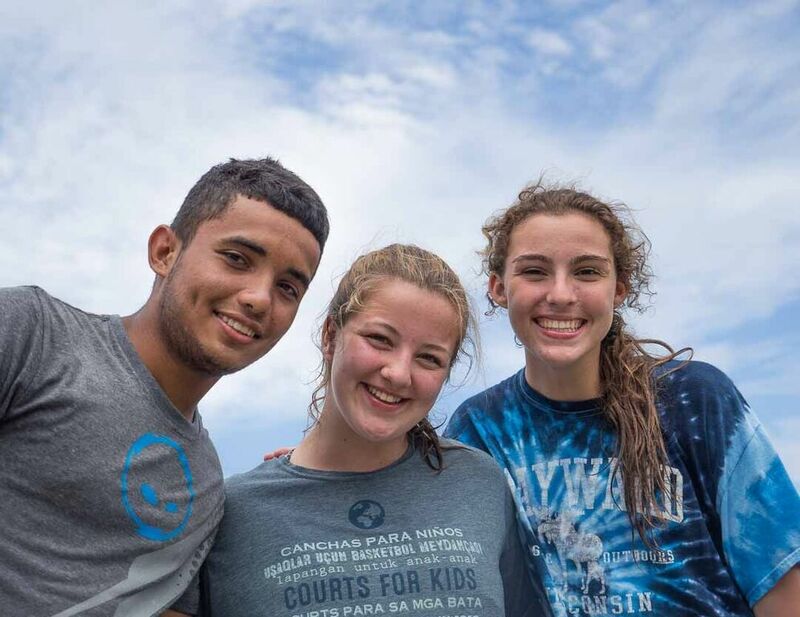 It ALL began when we met our Courts for Kids director’s, Anibal Cardenas. Anibal is a seasoned Courts for Kids Director and quite a character. His reputation preceded him in the best way possible. 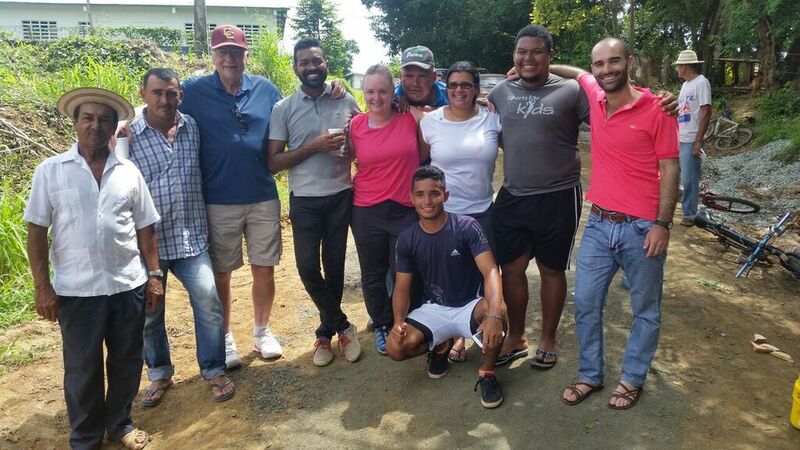 We were introduced to Debra and Isaac from Panama – Debra, serving as an all around helper (quite a valuable interpreter as well), Isaac (an interpreter), along with John Michael, a Peace Corp Volunteer from the States. As soon as we were all together, a round robin of slightly awkward introductions ensued, and then we began our long 5-hour drive to our new home. We were all a bit anxious, but we had a solid and committed group totally stoked to be embarking on this experience. One of my favorite moments from this trip was our initial departure to Rincon Hondo. The bus was perfection. It wasn’t like back home, and isn’t that the point? We all dragged our luggage outside the terminal and were hit like a ton of bricks with the heat and, oh, the humidity. It was quite a shock to me, realizing this was life for the next 8 days. All the luggage was to go on top of the vehicle, tarped, and tied down. I had seen it work perfectly many times before, no worries. Air-conditioning… more than I could have dreamed about in those first few moments of humid air. We packed in quite close, which I believe was the linchpin to the close relationships that ultimately developed. Isn’t it always the small, slightly uncomfortable experiences that bring people together? We arrived quite late into Rincon Hondo, like, after 10 pm. 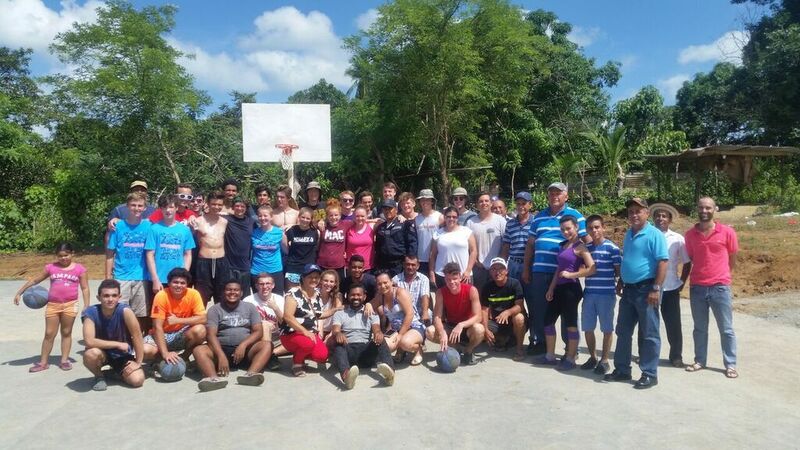 When we pulled up, nearly the entire community was outside the school, which was offered so graciously as our accommodations for the week, and provided such a great welcome celebration with FOOD! Smaller blue room for the girls, larger yellow room for the boys, and modest restroom offerings. Of course, true chaos ensued in unloading all the luggage, blowing up all the mattresses, installing mosquito nets. The need for the mosquito nets instilled a new level of fear amongst us girls, as we all were wondering, “What other creatures were we sharing this room with?? ?” Nevertheless, exhaustion won out with our heads gladly hitting our pillows around 12 am. Morning came quite quickly. Devyn and I had a squeamish laugh (or squeal) when we awoke to find the largest centipede ever recorded (at least I thought so) crawling up the side of Parker’s net – a strong reminder that we were truly in another country. Breakfast was at 8:30 am, as Anibal was kind enough to let us sleep in a bit due, in part, to our very late arrival the night before. If we wanted to get this court completed in the time provided though, this was going to be our only lazy morning allowed. I was quite grateful, I must say. We all clumsily slipped into our work attire, not quite knowing what to expect for our first day of hard work. As a group, we all hiked down the most beautiful road for approximately 10 minutes before we took a right turn into what would become one of our most favorite destinations – our gathering spot for all things food related. Breakfast was quick, but we got the first introduction to the incredible kindness and hospitality the locals were offering. It was so heartwarming. Breakfast was delicious, with some meat, American cheese (cute), and the most amazing bread you could ever eat. Not a croissant, not a pancake – but something in between. I crave it to this day, but I digress… So far, breakfast exceeded our expectations. I think we all were relieved – it was delicious. I still remember turning off the main road. The anticipation was killing me. I knew there would be some seriously tough work, but somehow it mattered what the location felt like. The feeling of the group hovered around nervousness and cautious anticipation, but we gathered ourselves and arrived court-side! 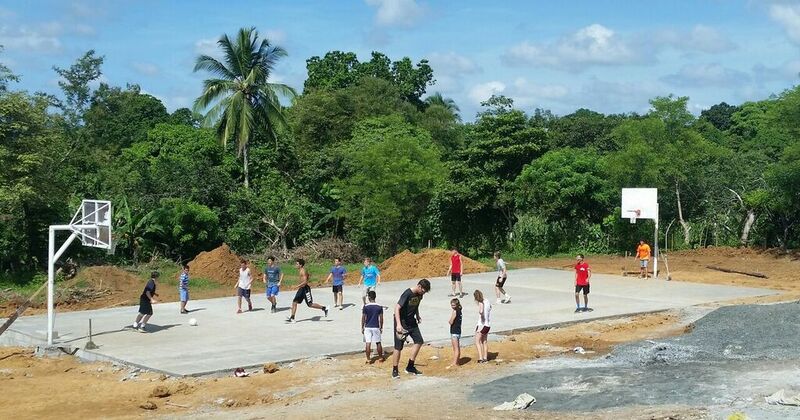 The community is expected to prep the cinder block base and have the ground level to the top of the court prior to the group’s arrival. 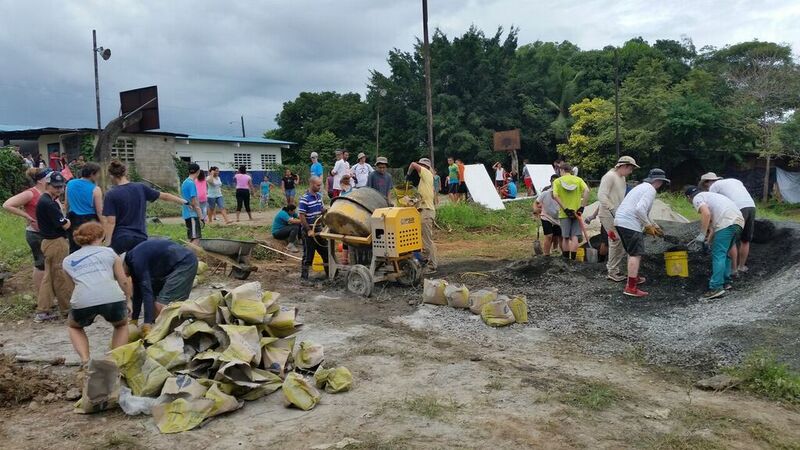 A strong effort was made by the community of Rincon Hondo, but some of the prep work still needed to be done before the pouring of concrete could begin. The cinder block perimeter was half-finished, so some dirt work ensued. That first day was pretty humbling. Shoveling and pick-axing dirt from here to there was pretty exhausting. We split the group in half and did 40 mins on and 40 mins off. This was the only way to make it through, as the temperature was ever increasing, topping off somewhere around 95-100 degrees with full humidity. A slight adjustment for us from the West Coast, lol. We made it through, and the exhaustion at day’s end was quite a sight. However, the progress we made was substantial. There was some discussion throughout the day regarding the sleeping arrangements the boys had and it’s lack of space. 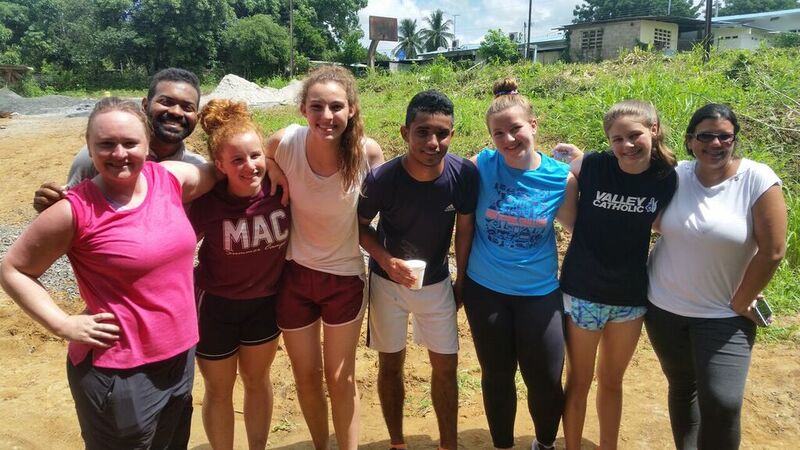 So, Diosa, our lovely cook and Rincon Hondo native, was kind enough to lend us girls (6) her home for the next week. After such a long day and the group just getting connected, I can’t deny, not knowing where we were headed, there was a bit of disappointment. We wouldn’t be able to spend the evenings with the boys. So, once again going back to our first home and re-packing, taking down our mattresses, and moving after such a long day was a bit of an effort. But little did we know, we had the best spot in town awaiting us. Diosa’s home! It’s difficult to describe the feeling when I first walked into our new living quarters. It felt so warm and welcoming. I couldn’t have anticipated a more perfect new home. All six of us girls were welcome with open arms and a hospitality that would be hard to surpass. Luxuries abounded – we had a freezer. Do you know what that means?? Cold water!! Truly liquid gold around these parts. Needless to say, we made some friends that day once the word was out. Only enough room for about 4 bottles, but we had some serious negotiations taking place. Also, a lot of strategies on how best to get our Hydro Flasks as frozen as possible. Ultimately, getting a great idea to buy water bottles at the local market and cut the tops off in the morning — WALLA — a cylinder of ice for our Hydro’s. Sadly the very first time I tried this at breakfast, I got so enthusiastic trying to get the ice to slide into the Hydro, I knocked over an entire cup of Panamanian oatmeal onto Courtney. (Sorry girl; still feel bad about that.) Oops. Fail. A delicious breakfast, coupled with the excitement that concrete pouring was to commence this morning, got us out of bed. 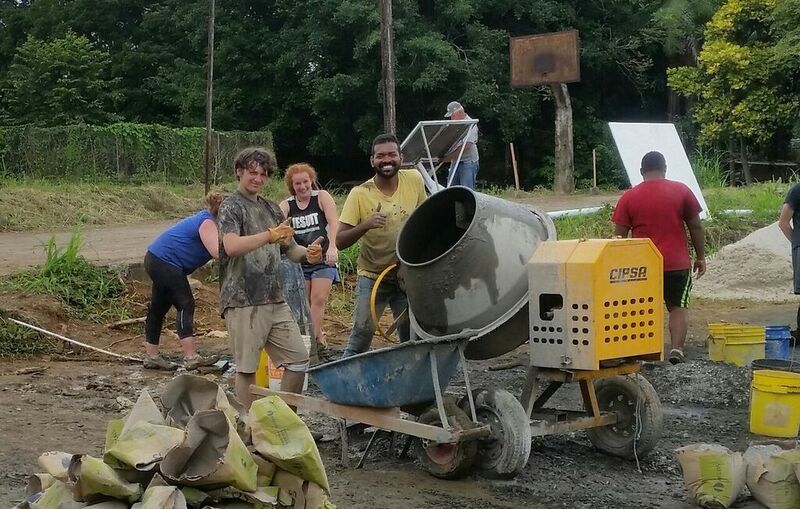 The true dance of this project began with the explanation of concrete mixing. There are rocks, sand, concrete (powder), fiber, and water, mixed to the perfect, quite precise consistency. CFK’s always hires a contractor to assist in these projects. We were luckier than I could ever imagine. Adriel was the main operator for our site, and I have rarely seen the dedication, work ethic, and kindness that presented itself on that court day in and day out. This young man, without a doubt, made each and every one of us question our work ethic, and, ultimately, made us better people. 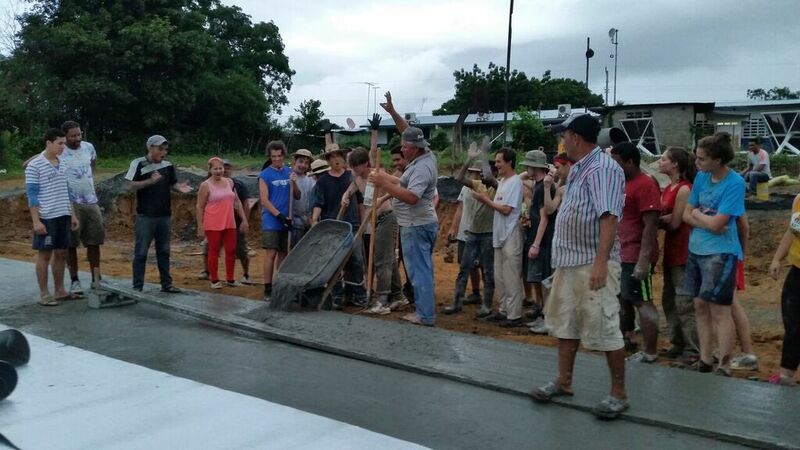 Also, a shout-out must go to the boys this first day of concrete. It is not an easy performance, yet our first day out, the baton must be passed. The girls’ effort and enthusiasm may have eclipsed the boys that first day (I’m biased), but we must pass that trophy over to the guys on day two. They stepped up with enthusiasm in the best way, and this continued throughout the rest of this trip. Truly impressed. Although the weather report was not forgiving, we never ran into any real trouble. The heat was actually more of a hindrance than the thunderstorms that we expected to see. Come day three, Anibal had to halt production over lunch, as the temperature would have taken us all out. 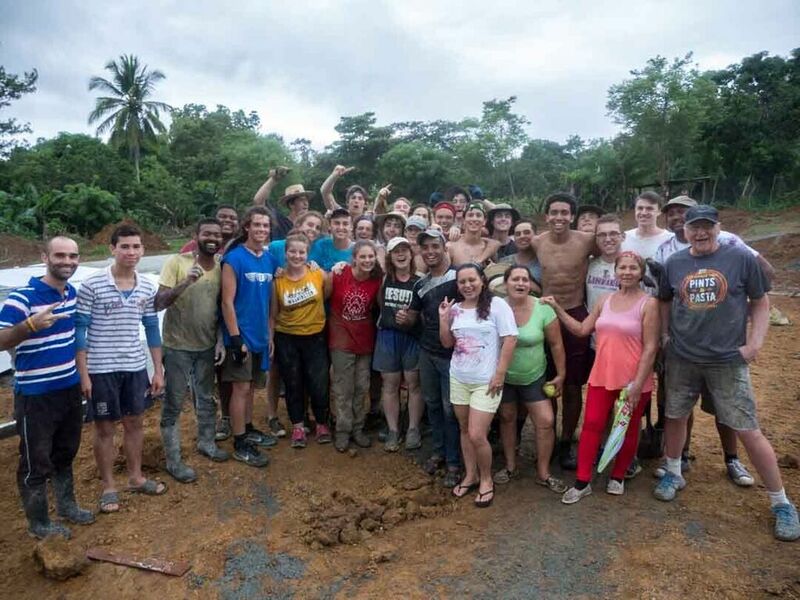 We all made a huge impact on this community by just simply choosing to enter there with a culture none of us were accustomed to, AND be willing to help and provide anything we could to improve the lives of those we encountered. I felt it hit home within the community. 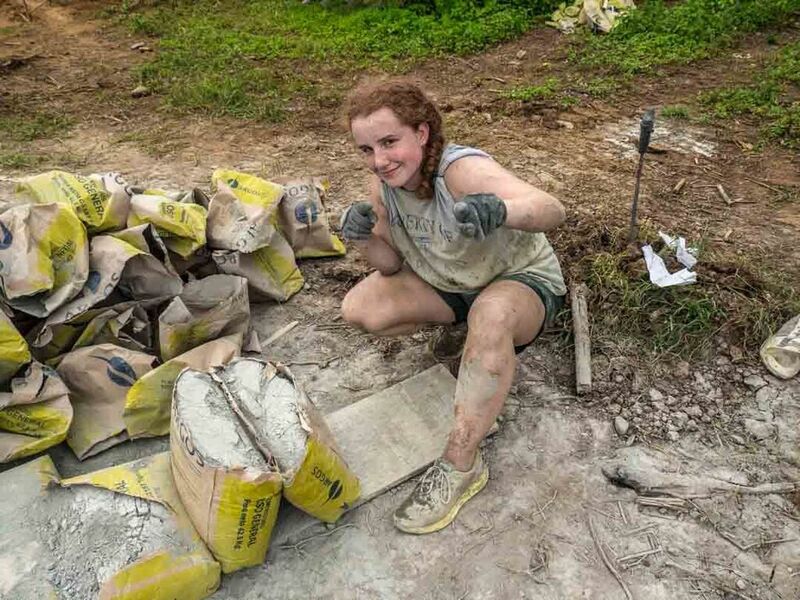 It was also a huge cultural difference for the community to see women carrying cement bags and taking part in the manual labor right alongside the guys, which really struck a chord within this culture. We were exhibiting new behavior outside of their cultural norms… and really that is why we are all here, to push the boundaries and learn from each other. One of the most moving parts of this experience was the reflections, which surprised me as I tend to sway a bit shy. The expectation is to close out the evening with a reflection on our day, individually answering some questions or presenting some thoughts as to how the day went. These reflections moved me in a way I never thought possible. 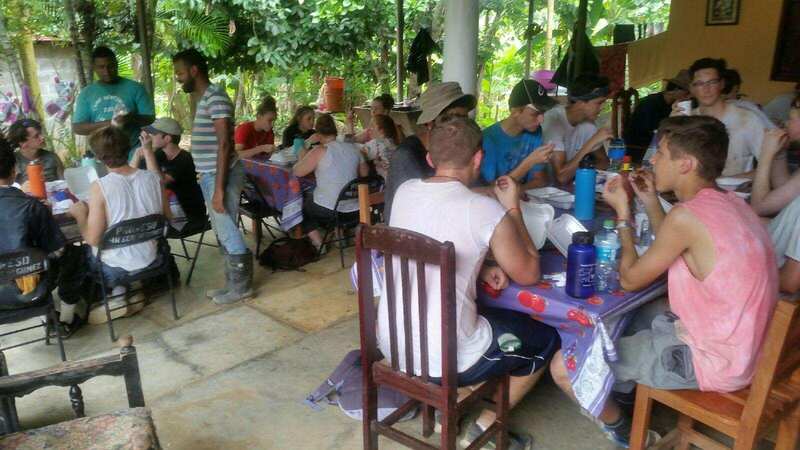 The insight and the DAILY life-altering lessons that most of the group experienced was so valuable and so generous and thoughtful in how they were shared – truly a gift. We were all quite lucky during this trip, as we had twin birthdays to celebrate! What a birthday bash it was! The locals all got together and brought in their local musical instruments, and we danced all night. It is a moment I will never forget. We were so close to completing this court come Thursday. Now, Anibal has done this before, and he knew how to motivate all of us with a little incentive. 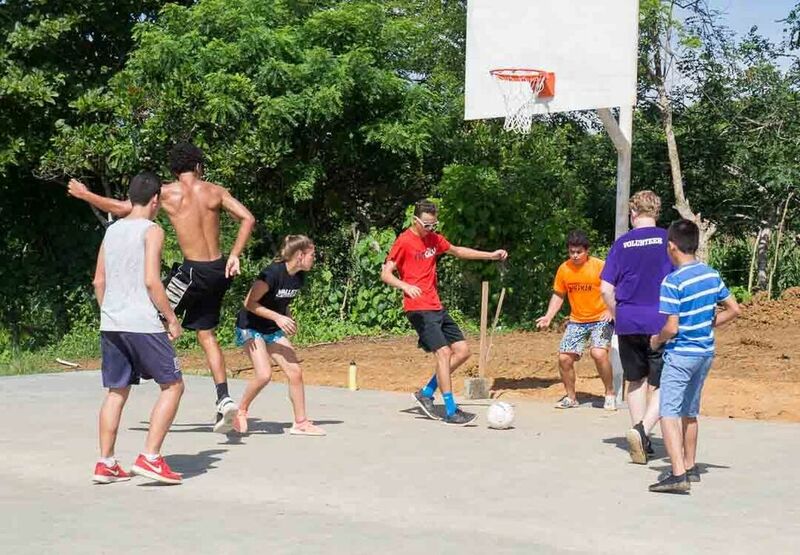 Nothing like encouraging hard work with a tempting offer to have a beach day and playing on our new court with the local kids if we dug down and really brought everything we could to this last day. Total work days to complete the court, thanks in large part to perfect weather: 4 DAYS. Everyone was pretty stoked for a day of rest, relaxation, and the ocean, so, needless to say, that last day was a long one. 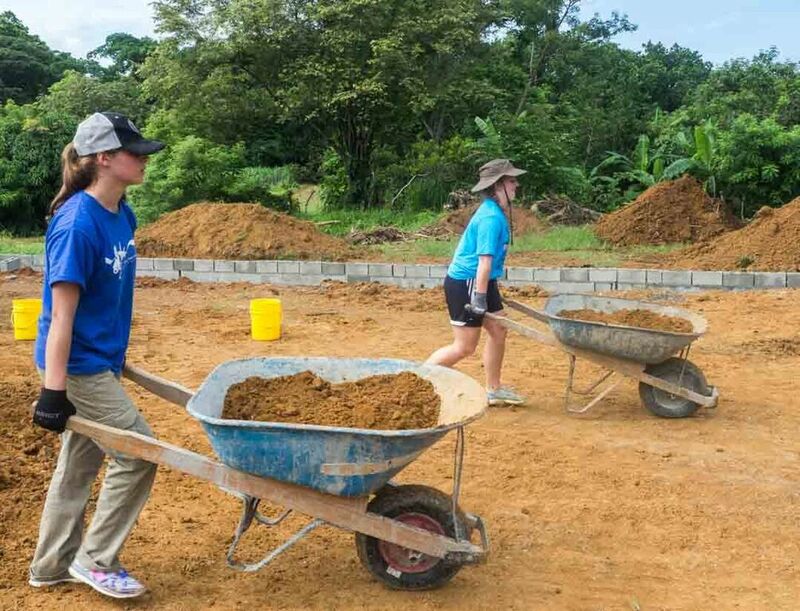 We definitely worked some overtime, but there was no better feeling than pouring that last wheelbarrow of concrete and the impending buckets of water showered on everyone in gratitude and celebration of a tremendous effort from our team and the incredible community of Rincon Hondo. This morning was a celebration performed by the community and a little ceremony thanking us for our efforts and communicating the fantastic improvements that the town/province would be adding in the upcoming months. This would include painted lines for the courts and a lot of the upkeep. 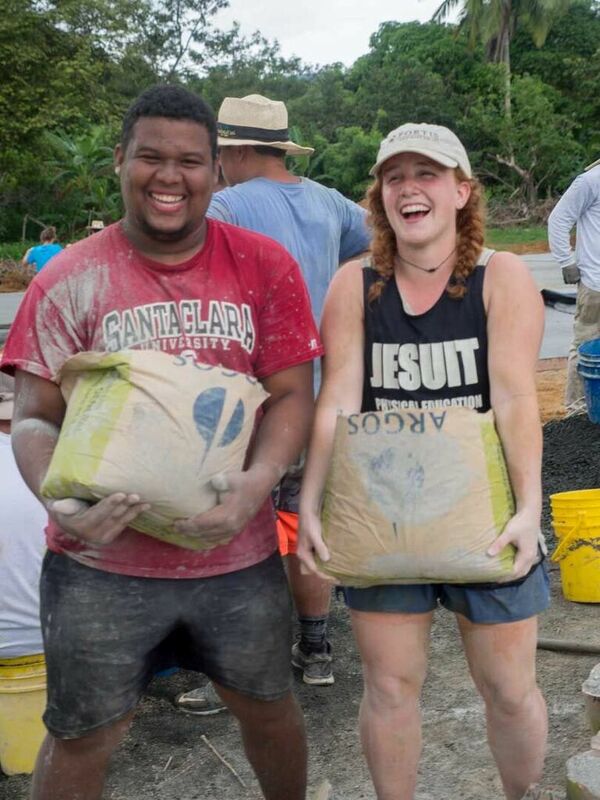 It was truly moving to realize how valuable the work we did was for this community, and the best part was it was, without a doubt, one of the best weeks of my life. 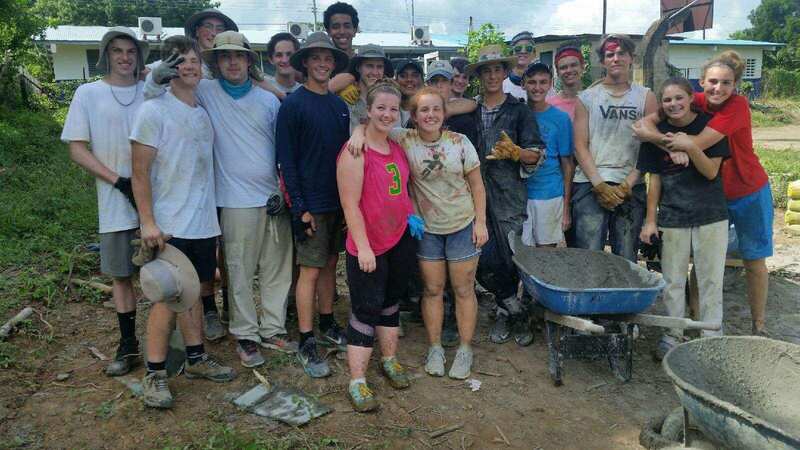 I could not have been more encouraged and thrilled with the vibrant people I met in Panama and the wonderful group from the Catholic schools of Portland (and Eugene). 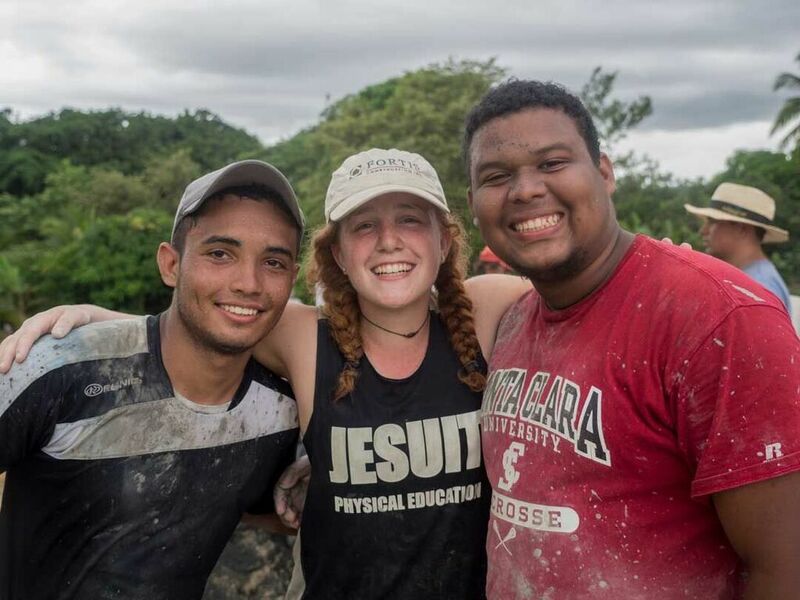 The greatest part of all of this was connecting with others from a new country with a new language and truly bonding over connections made over similarities we never would have guessed we all have. What an incredible opportunity, and I am so thrilled to have been so blessed.